The solid underglaze cobalt blue ground is known on Worcester as ‘wet blue’. 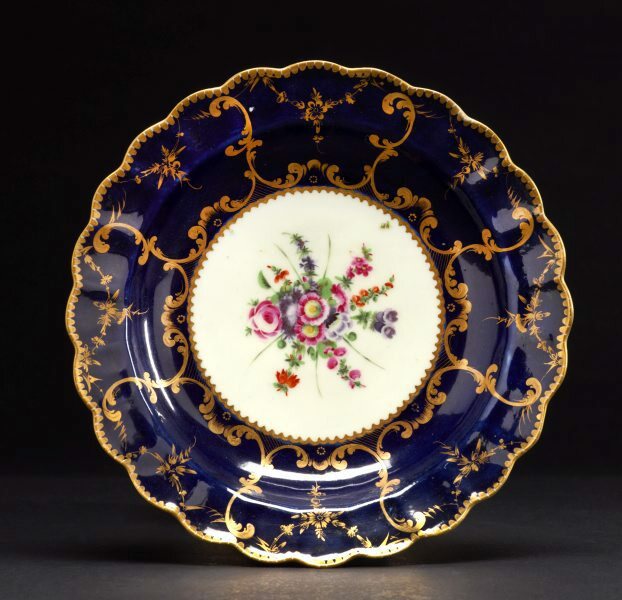 Introduced in the mid 1760s it represented an attempt to emulate Chelsea’s ‘mazarine blue’. Because it was difficult to obtain an even solid colour, the scale blue pattern was often preferred.